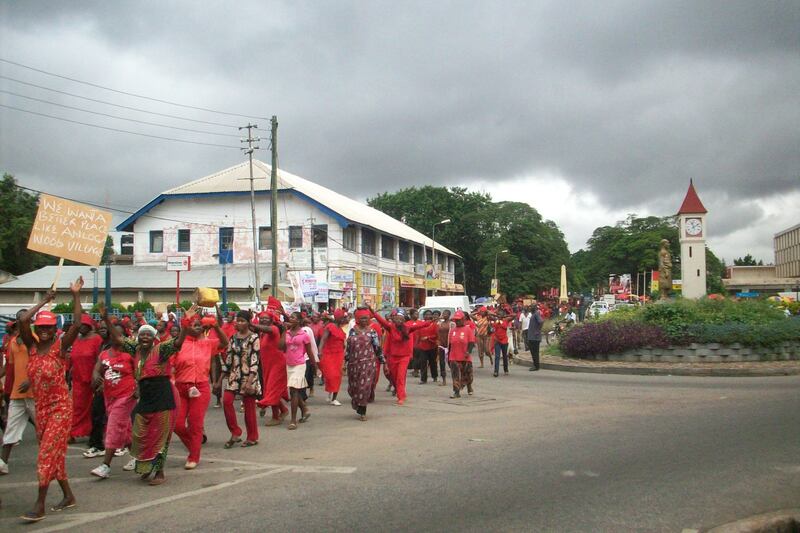 KUMASI, GHANA: DEMOCRACY IN ACTION! Thousands of traders in Kumasi, Ghana protested yesterday their impending relocation from their traditional market area at Race Course in the centre of Kumasi to various locations in Kumasi. What must be understood is that there has been very little public sector support of the traders themselves and the area they occupy. And yet trading is THE primary means of livelihood in this city. It is no wonder that the traders are suspicious of the motives of the authorities. You can read the protestors various concerns in the article below . My concern is the nature of the project that is pushing these people out of Race Course, next to Kejetia Lorry Station, Kumasi Zoo and the Kumasi Central Market. This location is congested and noisy. It is in the belly of Kumasi’s informal economy and at the very heart of the Ashanti region. The project itself is called SUN CITY. It is a joint South African-Ghanaian funded venture involving the construction of a high-rise 4/5 star hotel-shopping/offices complex. Now this is all taking place in a city that has been fast losing formal sector business to Accra for a number of years. Some business people are even starting to refer to Kumasi as a ‘backwater’. Most hotels in Kumasi have low occupancy rates as it is. Most significant, is the fact that Kumasi has no international airport despite land being allocated years ago. In fact, Kumasi Airport in Ghana’s second largest city of approximately two million people, cannot even accommodate night flights because it has no runway lights! Is the Sun City project what’s really needed in this city now?